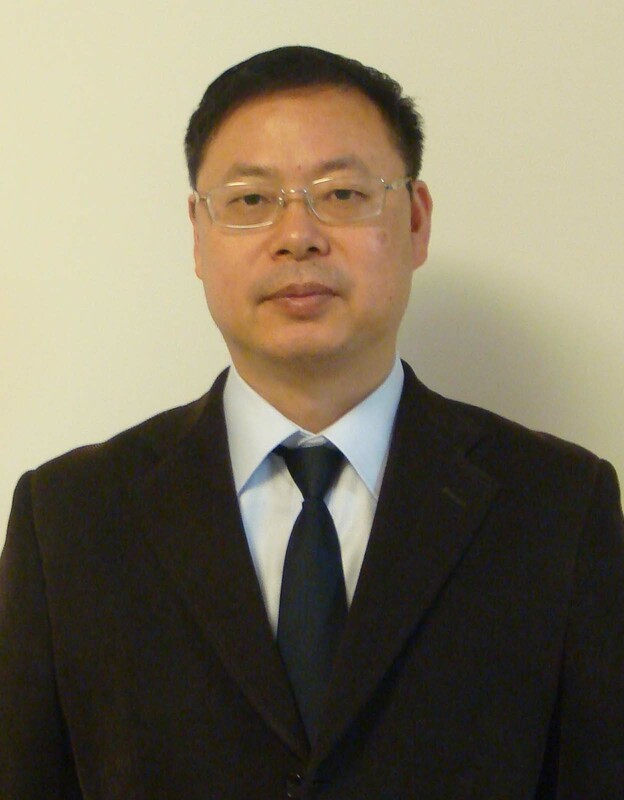 Dr. Qinong Ye completed his B.S from Nankai University, Tianjin, China. He then received his M.S. and Ph.D. from Beijing Institute of Biotechnology, China. He worked as an Assistant Professor in the Department of Molecular Oncology, Beijing Institute of Biotechnology, Beijing, China. He also served as an Associate Professor in the Department of Molecular Oncology, Beijing Institute of Biotechnology, China. He has more than 50 publications. Currently he is a Professor in the Department of Molecular Oncology/Medical Molecular Biology at Beijing Institute of Biotechnology, Beijing, China. 1. Zhang Y, Liu J, Lin J, Zhou L, Song Y, Wei B, Luo X, Chen Z, Chen Y, Xiong J, Xu X, Ding L*, Ye Q*. The transcription factor GATA1 and the histone methyltransferase SET7 interact to promote VEGF-mediated angiogenesis and tumor growth and predict clinical outcome of breast cancer. Oncotarget. 2016 Mar 1;7(9):9859-75. 6. Wang T, Zhou J, Zhang S, Bian L, Hu H, Xu C, Hao X, Liu B, Ye Q, Liu Y, Jiang Z. Meaningful interpretation of serum HER2 ECD levels requires clear patient clinical background, and serves several functions in the efficient management of breast cancer patients. Clin Chim Acta. 2016 Apr 22;458:23-29. 7. Du P, Yuan B, Cao J, Zhao J, Ding L, Chen L, Ying S, Jiang L, Lin J, Xu X, Cheng L, Ye Q*. Methyltransferase-like 17 physically and functionally interacts with estrogen receptors. IUBMB Life. 2015 Nov;67(11):861-8. 8. Feng Y, Li L, Zhang X, Zhang Y, Liang Y, Lv J, Fan Z, Guo J, Hong T, Ji B, Ji Q, Mei G, Ding L, Zhang S, Xu X, Ye Q*. HPIP is overexpressed in gastric cancer and promotes gastric cancer cell proliferation, migration and invasion. Cancer Sci. 2015 Oct;106(10):1313-22. 9. Ren W, Lian P, Cheng L, Du P, Guan X, Wang H, Ding L, Gao Z, Huang X, Xiao F, Wang L, Bi X, Ye Q*, Wang E*. FHL1 inhibits the growth of tongue squamous cell carcinoma cells via G1/S cell cycle arrest. Mol Med Rep. 2015 Sep;12(3):3958-64. 10. Chen L, Li W, Qiu W, Ren W, Li Q, Han B, Zhou L, Cheng L, Zhang H, Ye Q*. RSRC1 SUMOylation enhances SUMOylation and inhibits transcriptional activity of estrogen receptor β. FEBS Lett. 2015 Jun 4;589(13):1476-84. 11. Feng Y, Xu X, Zhang Y, Ding J, Wang Y, Zhang X, Wu Z, Kang L, Liang Y, Zhou L, Song S, Zhao K, Ye Q*. HPIP is upregulated in colorectal cancer and regulates colorectal cancer cell proliferation, apoptosis and invasion. Sci Rep. 2015 Mar 24;5:9429. 12. Fu J, Cheng L, Wang Y, Yuan P, Xu X, Ding L, Zhang H, Jiang K, Song H, Chen Z, Ye Q*. The RNA-binding protein RBPMS1 represses AP-1 signaling and regulates breast cancer cell proliferation and migration. Biochim Biophys Acta. 2015 Jan;1853(1):1-13. 13. Yuan B, Cheng L, Chiang HC, Xu X, Han Y, Su H, Wang L, Zhang B, Lin J, Li X, Xie X, Wang T, Tekmal RR, Curiel TJ, Yuan ZM, Elledge R, Hu Y, Ye Q*, Li R*. A phosphotyrosine switch determines the antitumor activity of ERβ. J Clin Invest. 2014 Aug;124(8):3378-90. 14. Wang Y, Fu J, Jiang M, Zhang X, Cheng L, Xu X, Fan Z, Zhang J, Ye Q*, Song H*. MiR-410 is overexpressed in liver and colorectal tumors and enhances tumor cell growth by silencing FHL1 via a direct/indirect mechanism. PLoS One. 2014 Oct 1;9(10):e108708. 15. Fu J, Xu X, Kang L, Zhou L, Wang S, Lu J, Cheng L, Fan Z, Yuan B, Tian P, Zheng X, Yu C, Ye Q*, Lv Z*. miR-30a suppresses breast cancer cell proliferation and migration by targeting Eya2. Biochem Biophys Res Commun. 2014 Mar 7;445(2):314-9. 16. Wei X, Yan X, Chen X, Yang Z, Li H, Zou D, He X, Wang S, Cui Q, Liu W, Zhurina D, Wang X, Zhao X, Huang L, Zeng M, Ye Q*, Riedel CU*, Yuan J*. Proteomic analysis of the interaction of Bifidobacterium longum NCC2705 with the intestine cells Caco-2 and identification of plasminogen receptors. J Proteomics. 2014 May 17;108C:89-98. 17. Xu X, Fan Z, Kang L, Han J, Jiang C, Zheng X, Zhu Z, Jiao H, Lin J, Jiang K, Ding L, Zhang H, Cheng L, Fu H, Song Y, Jiang Y, Liu J, Wang R, Du N, Ye Q*. Hepatitis B virus X protein represses miRNA-148a to enhance tumorigenesis. J Clin Invest. 2013 Feb 1;123(2):630-45. 18. Jiang K, Yang Z, Cheng L, Wang S, Ning K, Zhou L, Lin J, Zhong H, Wang L, Li Y, Huang J, Zhang H, Ye Q*. Mediator of ERBB2-driven cell motility (MEMO) promotes extranuclear estrogen receptor signaling involving the growth factor receptors IGF1R and ERBB2. J Biol Chem. 2013 Aug 23;288(34):24590-9. 19. Xu X, Jiang C, Wang S, Tai Y, Wang T, Kang L, Fan Z, Li S, Li L, Fu J, Liu J, Ji Q, Wang X, Wei L, Ye Q*. HPIP is upregulated in liver cancer and promotes hepatoma cell proliferation via activation of G2/M transition. IUBMB Life. 2013 Oct;65(10):873-82. 20. Han J, Xu X, Qin H, Liu A, Fan Z, Kang L, Fu J, Liu J, Ye Q*. The molecular mechanism and potential role of heat shock-induced p53 protein accumulation. Mol Cell Biochem. 2013 Jun;378(1-2):161-9. 21. Wang F, Jiang Z, Li Y, He X, Zhao J, Yang X, Zhu L, Yin Z, Li X, Wang X, Liu W, Shang W, Yang Z, Wang S, Zhen Q, Zhang Z, Yu Y, Zhong H, Ye Q*, Huang L*, Yuan J*. Shigella flexneri T3SS effector IpaH4.5 modulates the host inflammatory response via interaction with NF-κB p65 protein. Cell Microbiol. 2013 Mar;15(3):474-85. 22. Cheng L, Li J, Han Y, Lin J, Niu C, Zhou Z, Yuan B, Huang K, Li J, Jiang K, Zhang H, Ding L, Xu X, Ye Q*. PES1 promotes breast cancer by differentially regulating ERα and ERβ. J Clin Invest. 2012 Aug 1;122(8):2857-70.